Everything Everywhere, the parent company of T-Mobile and Orange, as you know it is no more. As part of the launch of its new 4G networks, the company has rebranded and will now be known as EE, labelling its new 4G mobile network, broadband and other services under the same name. EE says its new brand is built for this century, built for this country, built for a gigabyte generation. As part of its new offering, EE will provide superfast 4G mobile service and fiber connections to both consumers and businesses across the country. The company has pumped £1.5 billion into its mobile and fiber infrastructure, creating the “biggest, the best and fastest network in the country,” offering customers a simple, visible signal that no matter which of EE’s mobile bands they use, they will be part of the biggest band network in the UK. We speculated that Orange and T-Mobile would be dissolved, but that won’t be the case (at least at the moment). EE says that both companies will operate under their existing names, offering customers a unique choice over handsets and mobile tariffs. However, 4G networks will only be available via the EE brand. At the launch event EE also showed off an internal video designed to give staff a better feel of the brand. It’s not meant for marketing purposes, but you can watch it below to get an idea of how the logo and typeface will be used. 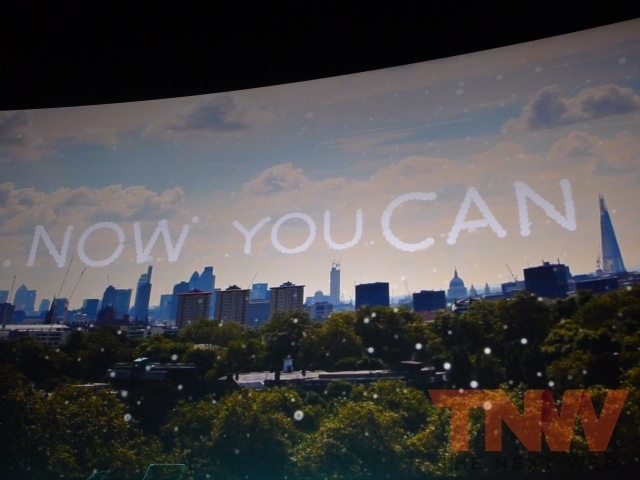 EE will test its networks in 4 cities, rolling out across the UK by Christmas. It hopes to cover 70% of the UK population by then, reaching more than 98% by 2014. If you live in London, Birmingham, Cardiff, Bristol, Edinburgh, Belfast, Leeds, Sheffield, Manchester, Liverpool, Glasgow, Newcastle, Southampton, Hull, Nottingham, Derby, you will have access by the time Santa comes. In August, the UK’s communications regulator Ofcom announced it would allow EE to launch the UK’s first 4G network, approving an application to utilise its existing spectrum to roll out 4G services for its customers. In a statement on its website, Ofcom announced that it had approved Everything Everywhere’s request to rebrand its 1800MHz spectrum to deliver 4G services from September 11, 2012. Now that it is official, EE will also debut new 4G devices from Samsung, HTC, Nokia and Huawei. What about the iPhone? EE says that it will release “details of other devices very soon”. Make of that what you will.